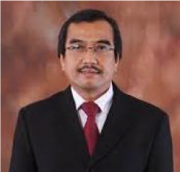 Dr. Mohamad Fadhil Hasan is the Director of Corporate Affairs at Asian Agri Group. He has more than thirty years of experiences in policy research and consulting services in the areas of macro economics and industrial policy, agriculture and various public policies for government agencies and private sectors. A regular resource person for a number of media (newspaper and electronic), Dr. Hasan actively participates in seminars and conferences and publishes articles for newspapers and journals in Indonesia and abroad. His previous positions are including World Bank Consultant for the Budget Committee of Indonesian Parliament (DPR RI), Co-Team Leader of UNDP Project on Orientation Program for New Members of Indonesian Parliament and Technical Advisor in the National Legislative Strengthening Program (NLSP) of The Asia Foundation for the Indonesian Parliament. He was The Managing Director at the Institute of Development for Economics and Finance (INDEF), an independent think tank, from 2004 to 2008. During 2001-2004, He was appointed as a policy advisor to the Ministry of Fishery and Marine Affairs in. Dr. Hasan’s track record in palm oil sector includes Director of Sustainability at the Council of Palm Oil Producing Countries (CPOPC). Furthermore, He was working with State Owned Sugar Plantation XI (PT. Perkebunan Nusantara XI) as a member of the board of commissioner in Surabaya. He was also the Executive Director of the Indonesian Palm Oil Association (IPOA).